Usman Khawaja held fort with an unbeaten 41 as Australia finished Day 3 of the second test at Perth on 132/4. Earlier in the day, India had a horror start to the first session as vice captain Ajinkya Rahane could not add to his overnight score, caught by Tim Paine off Nathan Lyon in the very first over of the day..
Hanuma Vihari along with Virat Kohli added a valuable 50 run partnership and took India’s score over 200 before Vihari was dismissed for 20 by a peach from Josh Hazlewood- a beautiful outswinger that would’ve been too good for even the best in the world. 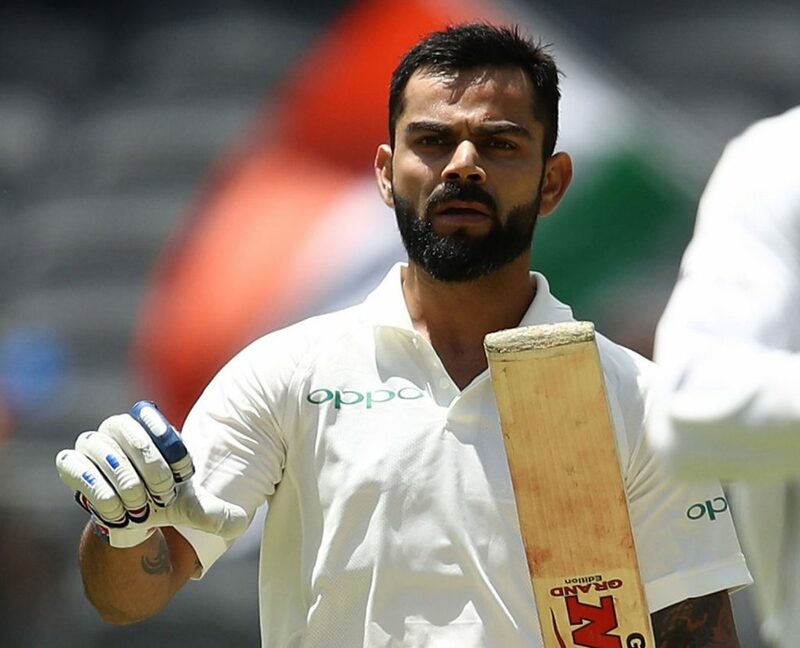 Kohli’s brilliant knock was cut short by a controversial decision when he was caught at second slip by Peter Handscomb of Pat Cummins. Replays though suggested that the ball may have touched the ground while claiming the low catch. After the dismissal of the skipper, the lower order barring Rishabh Pant (36) failed to make substantial contributions as India were bowled out for 283 runs in 105.5 overs, giving the home side a lead of 43. Nathan Lyon was Australia’s best bowler as he finished with figures of 5/67, while Starc and Hazlewood claimed 2 wickets each. After getting a handy lead of 43 runs, Australia started their second innings well as the opening pair of Aaron Finch and Marcus Harris laid a solid foundation. However Finch in the 13th over was forced to retire hurt after being hit on the finger by Mohammed Shami for 25. Marcus Harris, who had been hit on the helmet earlier by Bumrah, fell to the same bowler, shouldering arms to an incoming delivery. He had also previously been dropped by Cheteshwar Pujara at slip when he was on 1. Shami then got into the act by claiming the wicket off Shaun Marsh who was caught by wicketkeeper Pant for 5 runs. Peter Handscomb’s technical flaws were again exposed as Sharma had him trapped in front, leaving the hosts at 85/3. Khawaja and Travis Head then came together and managed to help the hosts cross the 100 run mark in the 30th over. However Head lost his patience and threw his wicket away. He was dismissed in the same fashion as the first innings, caught at third man while attempting to slash a wide one. Khawaja and captain Tim Paine saw the day through without any further alarms as Australia Ended Day 3 at 132/4, with an overall lead of 175 runs. Stumps on Day 3- India first innings 283 all out- Virat Kohli 123, Rishabh Pant 36, (Lyon 5/67, Starc 2/79, Hazlewood 2/66).